DIY-ed a cake for my Project Manager on his last day. 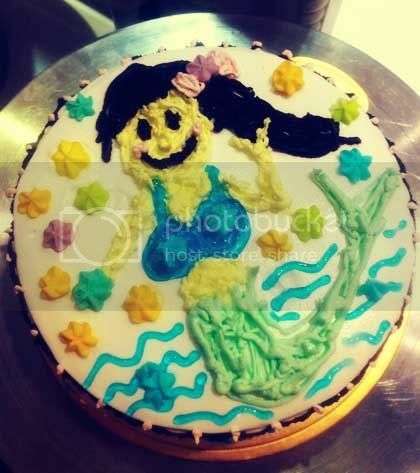 He likes fishing and he’s a phedofile (likes young girls), so we drew him a mermaid! Hahahaha super ugly lor. But it’s the effort that counts okay! *Sobs. Gone is the man whom holds our team so strongly together 🙁 He’ll be missed. And I can’t wait for our BBQ next week! Have a Break and Art Jam!